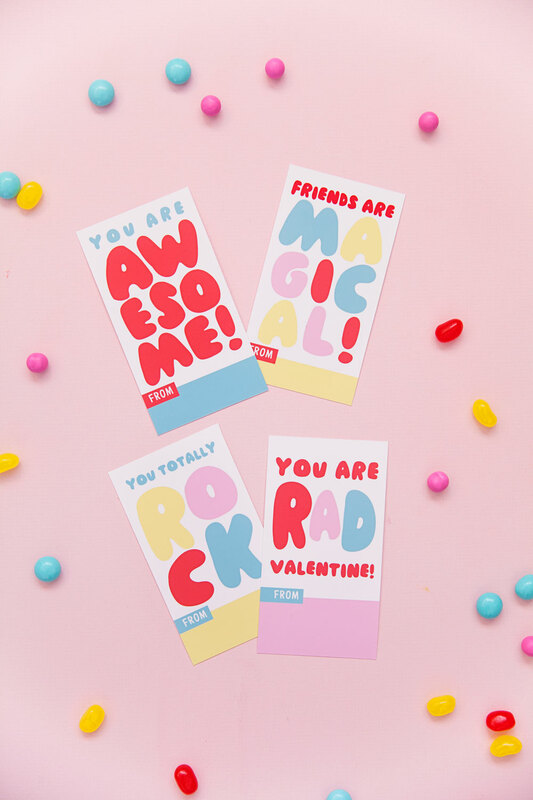 Valentine’s Day is coming up and we all know what is the most important part for all Elementary school kids…the Valentine’s Day cards! I mean at least it was MY favorite (and still is) part of the holiday. 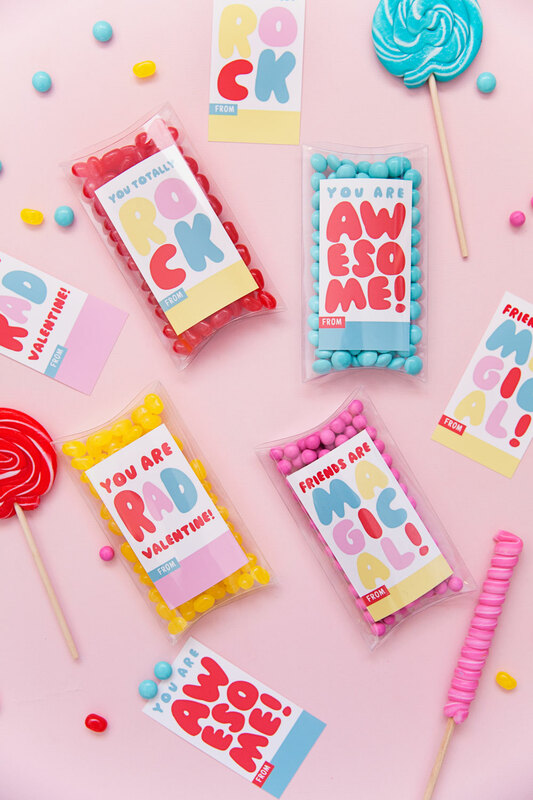 Getting all those fun Valentine’s with all the candy and goodies. I remember dumping out my Valentine’s day box and sorting through them all over and over. Well It’s that time again and these Valentine’s will not disappoint! 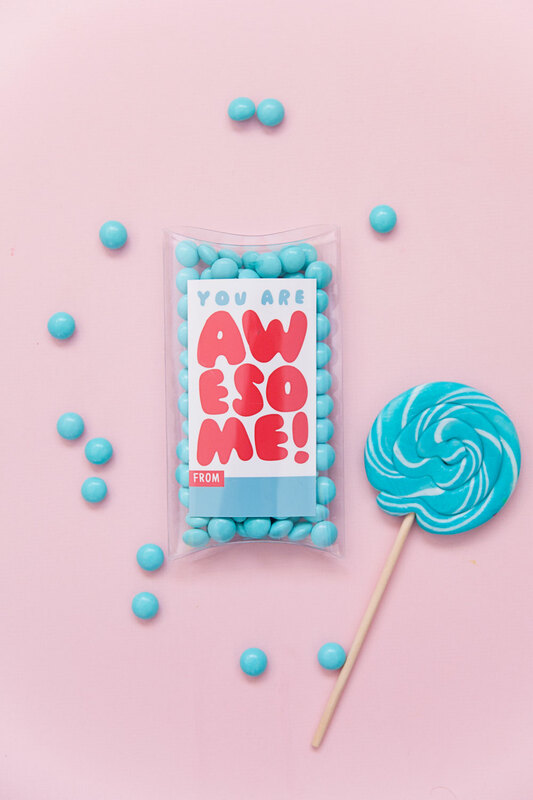 They are so colorful, fun and the PERFECT pair with colorful candy. 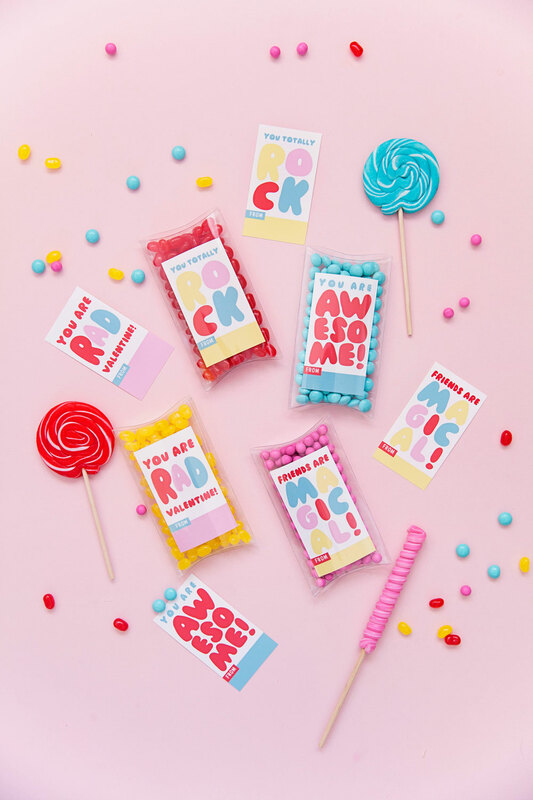 So get your printer ready because these are FREE printable Valentine’s! -Print out your Valentine’s. To get the brightest color you want to use the whitest paper and a semi gloss works best. 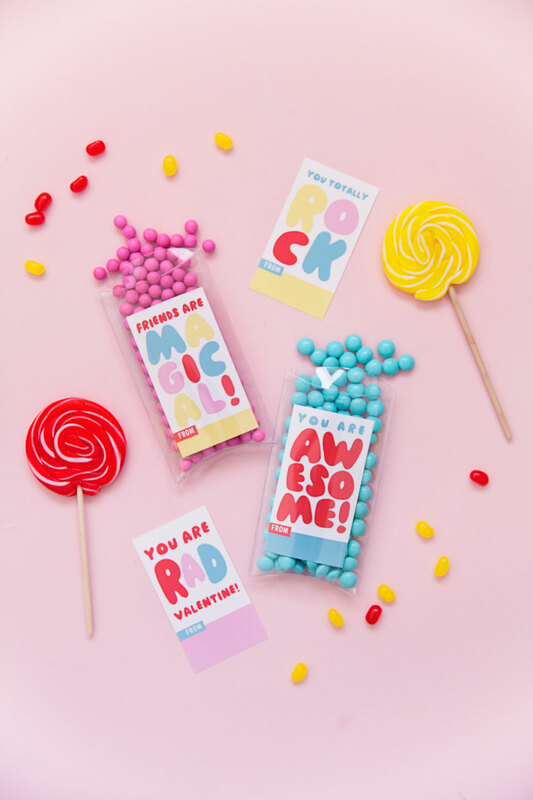 -Take your clear pillow boxes and fill them with the colorful candy. -Lastly slide your Valentine inside and close up the pillow box with a piece of tape. -Then give pure joy because that is what these Valentine’s are.